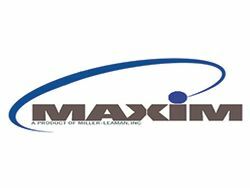 The MAXIM is a state-of-the-art backwash controller designed for automatic filtration systems. 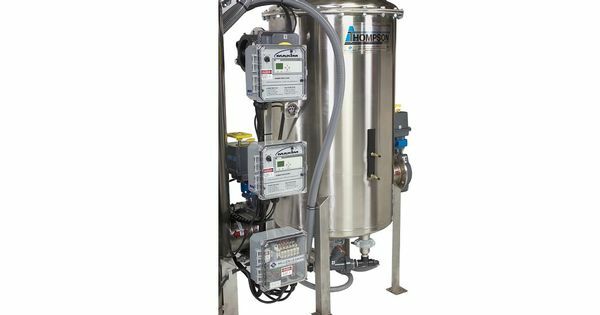 All critical components are UL and CUL approved. 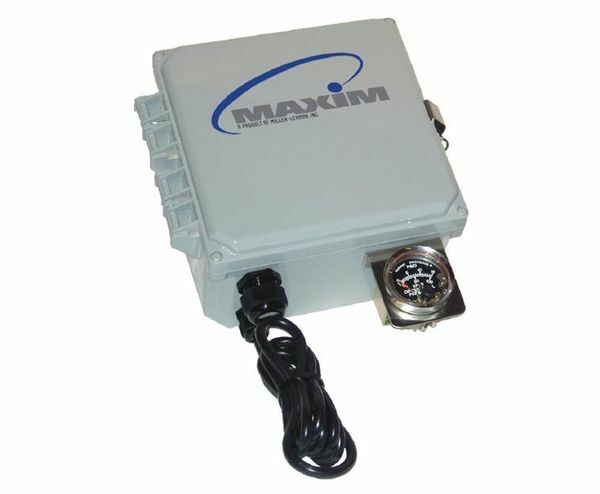 These components are protected by a robust, corrosion-proof watertight enclosure. 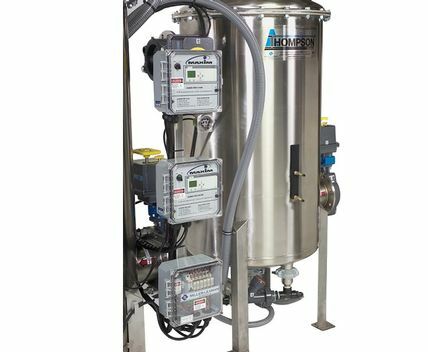 The heart of the MAXIM is a programmable micro PLC, custom designed to maximize the performance of your filtration system. 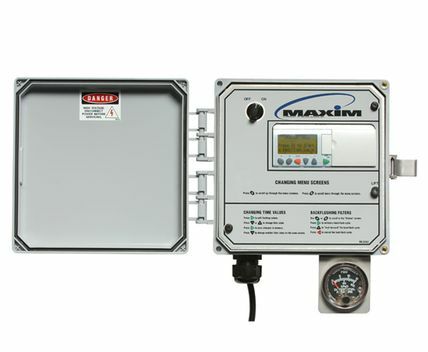 The MAXIM has a user-friendly, menu driven controller that gives the user control of all critical automatic filter functions. The backlit LCD display provides real-time system status. 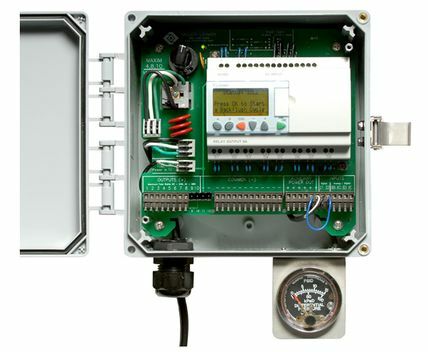 The EEPROM memory module (EEPROM) allows for installation of system upgrades and provides the ability to upload custom application specific programs without the need for a computer.